Severin Films are getting ready to release two Joe D’Amato nasties on Blu-Ray for the first time ever in America. 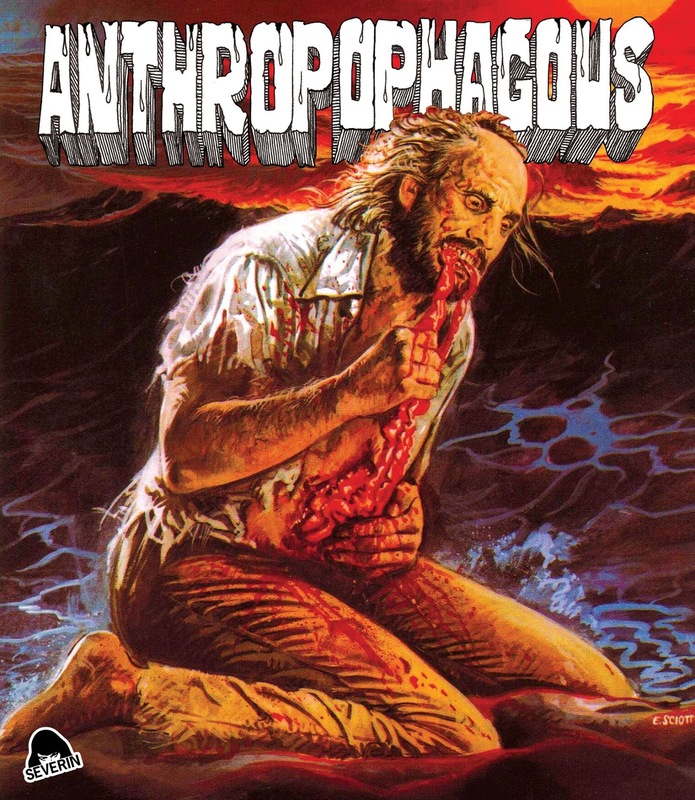 The ANTHROPOPHAGOUS Special Edition Blu-ray is also available at a discounted price in the exclusive Man-Eater Bundle which also includes the ABSURD Special Edition Blu-ray w/Limited Edition ‘Video Nasty’ Slipcase, Absurd CD Soundtrack, Anthropophagous Monster & Joe D’Amato Enamel Pins, Anthropophagous T-shirt, as well as a very special Limited Edition Anthropophagous Toy Plush Doll. Borrowing heavily from HALLOWEEN, D’Amato unleashes gut-spewing Greek boogeyman (screenwriter George Eastman) into suburban America for a “gruesome as hell” (CinemasFringes.com) and “incredibly sadistic” (ASlashAbove.com) saga of doomed nurses, butchered babysitters, bio-chemical clergy and some of the most insane splatter scenes in Italian gorehound history. 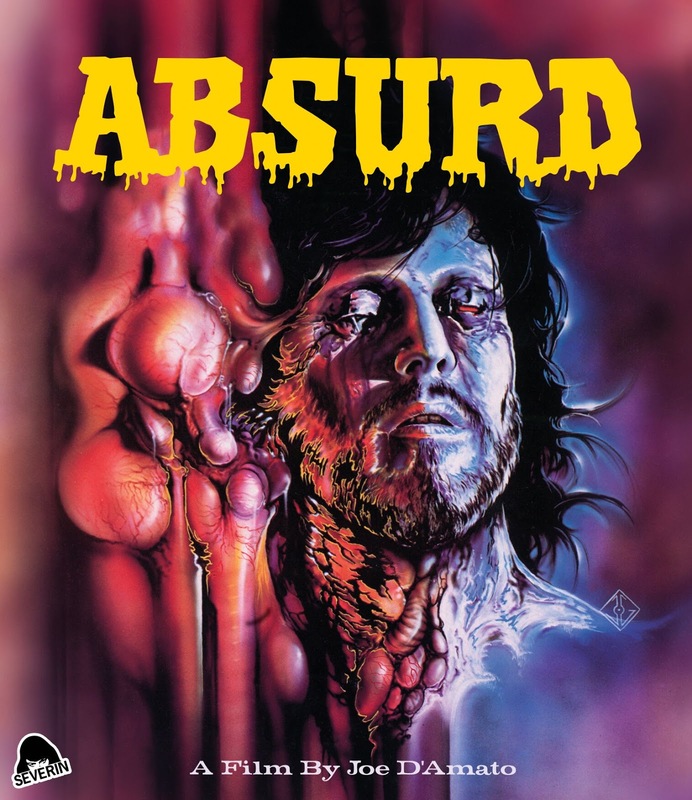 Edmund Purdom (FRANKENSTEIN’S CASTLE OF FREAKS, PIECES) and Annie Belle (HOUSE ON THE EDGE OF THE PARK, LAURE) co-star in this “violence-soaked bloodbath” (Hysteria Lives) and former ‘Video Nasty’ – also known as THE GRIM REAPER 2, ZOMBIE 6, HORRIBLE and MONSTER HUNTER – now featuring a 2k scan from the original negative and gushing with all-new Special Features. The ABSURD Special Edition Blu-ray is also available at a discounted price in the exclusive Man-Eater Bundle which also includes the Anthropophagous Special Edition Blu-ray w/Limited Edition ‘Video Nasty’ Slipcase, Absurd CD Soundtrack, Anthropophagous Monster & Joe D’Amato Enamel Pins, Anthropophagous T-Shirt, as well as a very special Limited Edition Anthropophagous Toy Plush Doll. plush ad from Severin Films on Vimeo.